I won’t lie. 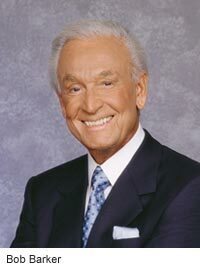 I’m a HUGE Bob Barker fan. Most New Zealanders probably have no idea who Barker is – though you may have seen his cameo in Happy Gilmore, where he beats up Adam Sandler (apologies for the poor video quality) – but as a boy growing up in Canada, Bob Barker played a big role in my early life. Back when our television only picked up 3 or 4 channels – in the 70s and 80s – Barker was the host of one of North America’s most famous game shows: The Price is Right. Barker was an institution, hosting the show for thirty-five years. My grandmother – like many grandmothers – was a big Price is Right fan, as well as a huge Barker fan, and I have fond memories of watching the show with her as a child. Think about it. One man has been singularly responsible for getting animal law on the curriculum at seven of America’s most prestigious law schools. From what I’ve heard, each endowment is worth $1 million, and the terms of the endowment require the schools to offer animal law as a subject at least once every two years. It’s a spectacular accomplishment, and shows what one person with some money can do. It’s not surprising that many of those schools now support elaborate animal law programs, research and teaching. Very exciting stuff. Which brings me to my ‘date’ with Barker. In April, I’ll be attending the Future of Animal Law Conference at Harvard University, and the keynote speaker will be Bob Barker. I am very much looking forward to it, especially as I would love to congratulate a man who has helped immensely in developing the field of animal law that is so critical to making real change for animals – and has even helped me teach the course in New Zealand! More than anything else, Bob Barker has shown what one person with commitment and funds can do. The ‘spin-off’ effect of his donations has been tremendous, as some of the top students in the United States have taken the opportunity to study animal law – and advocate for changes to the law governing animals – all because of Barker. Moreover, by getting the nation’s top schools to accept animal law as a discipline (especially Harvard), he was instrumental in showing that this was a legitimate area of study – which has spurred the growth of animal law courses around the globe. I wouldn’t go so far as to say that I wouldn’t be teaching animal law without Mr. Barker, but every time I’ve managed to teach the course in a new place (Auckland, Haifa, Melbourne), I’ve cited the acceptance of this course in the world’s top law schools – which certainly hasn’t hurt my case with administrators wary of the course’s legitimacy. Which leaves me to ask…. Where’s New Zealand’s Bob Barker??? In my opinion, one person with will, commitment and finances can do a tremendous amount to move things forward for animals. Barker could have – as many celebrities do – just given a huge donation to the SPCA or some other animal charity, which would have helped them operate for years. Instead he took a more creative path, one that, in my opinion, will pay dividends for years to come. Thats fantastic, great article Peter. Its encouraging to hear of such pathfinders, and yes, where is NZ’s Bob Barker? Have fun on your journey Peter.